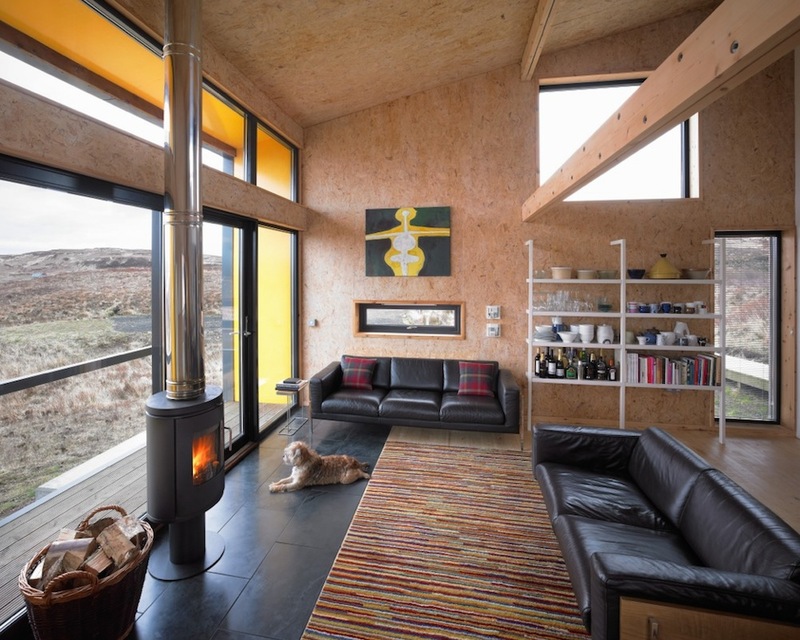 Built on the Isle of Skye, this remote eco home in Fiscovaig is both low cost and ultra-efficient. It has been affectionately named the Hen House by the owners and has some of the best views I’ve ever seen over the Scottish island. The house in Fiscavaig was built for just £123,000 which is remarkable considering building materials and just about everything else you can imagine come at a premium price in such remote areas. 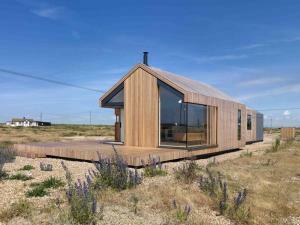 This was intended to be a highly sustainable eco home from the start but instead of spending excessive amounts of their tight budget on elaborate technologies such as ground-source heat pumps or wind turbines, Nick Middleton and Kate Prenctice instead decided to ultra-insulate the house to achieve fuel efficiency. 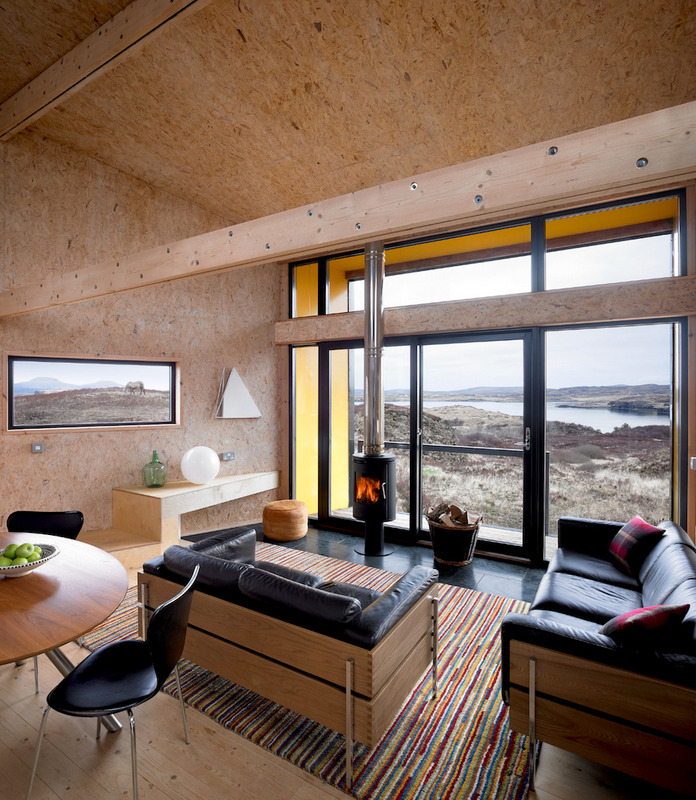 They refer to this cost effective approach as eco minimalism which in my opinion describes this Fiscavaig eco home perfectly. The heating bills come in at just £40 a month due to the level of insulation while the specially designed tapered shape and the expansive south face window passively heat the home. 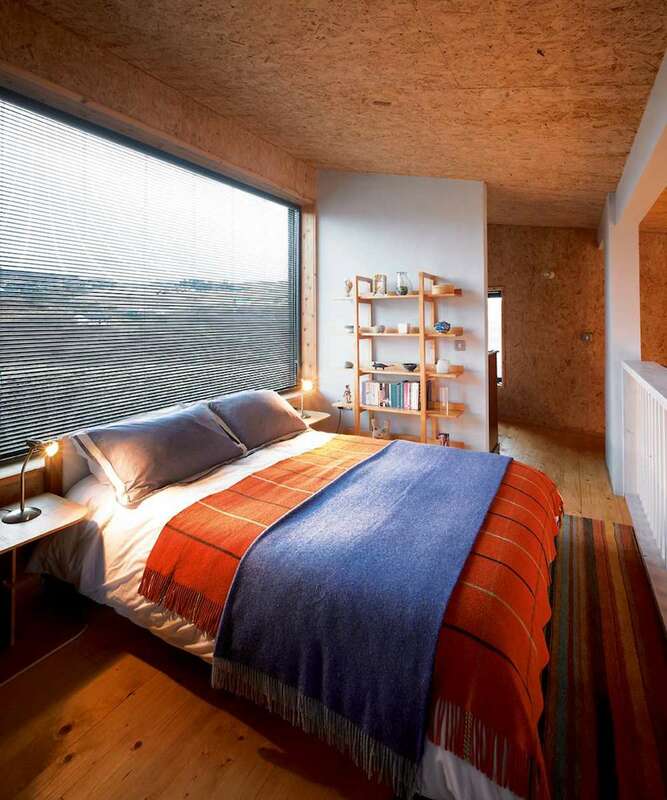 To further save costs and to create a raw minimalist look, the interior walls feature unfinished coarse chip board. 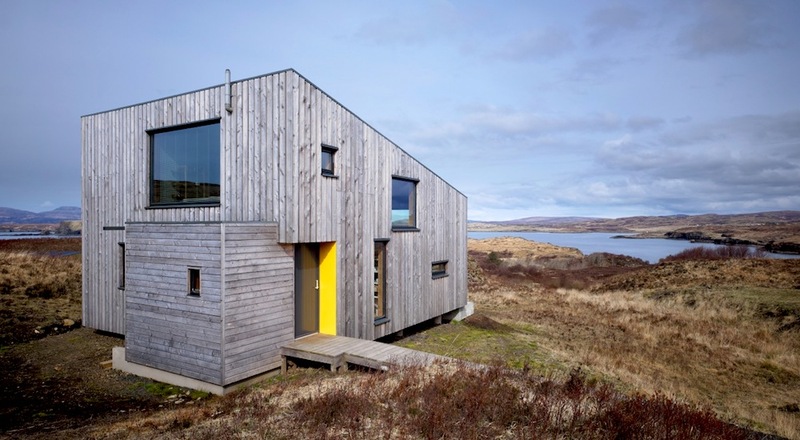 The exterior bears larch timber cladding which has silvered over time while the roof is made up of cement-fibre board. 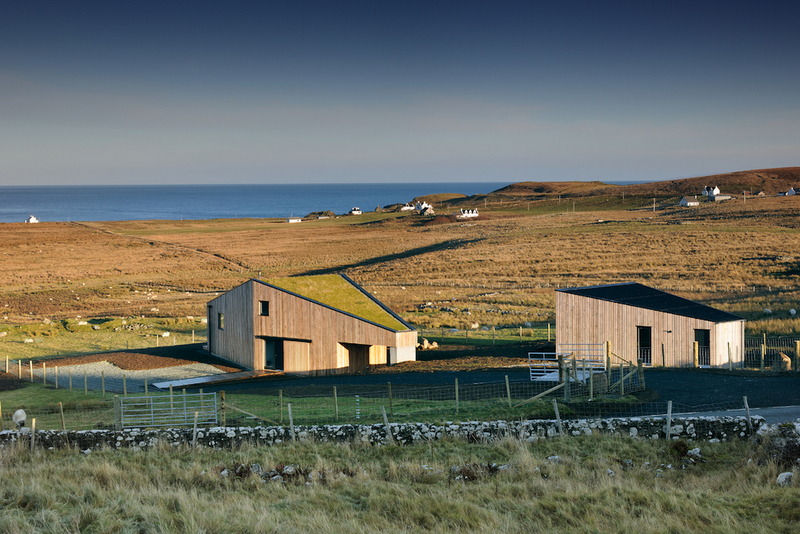 While the landscape of the Isle of Skye is dominated by white painted traditional cottages, the Hen House draws its inspiration from the more practical agricultural buildings such as the barns and byres which are dotted over the island. 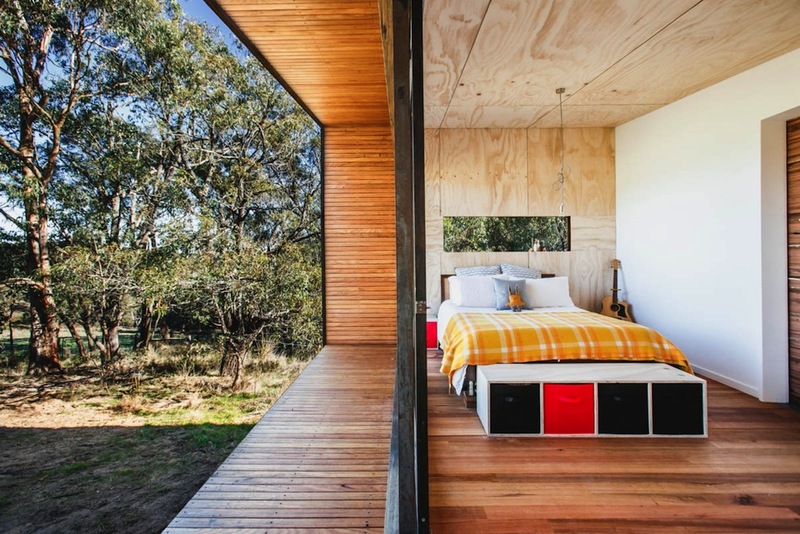 These no-fuss structures blend into the landscape surprisingly well, mainly due to their clean, largely featureless designs but also due to the basic, low-cost materials used such as timber cladding and corrugated sheet metal which age brilliantly to silver and rust. 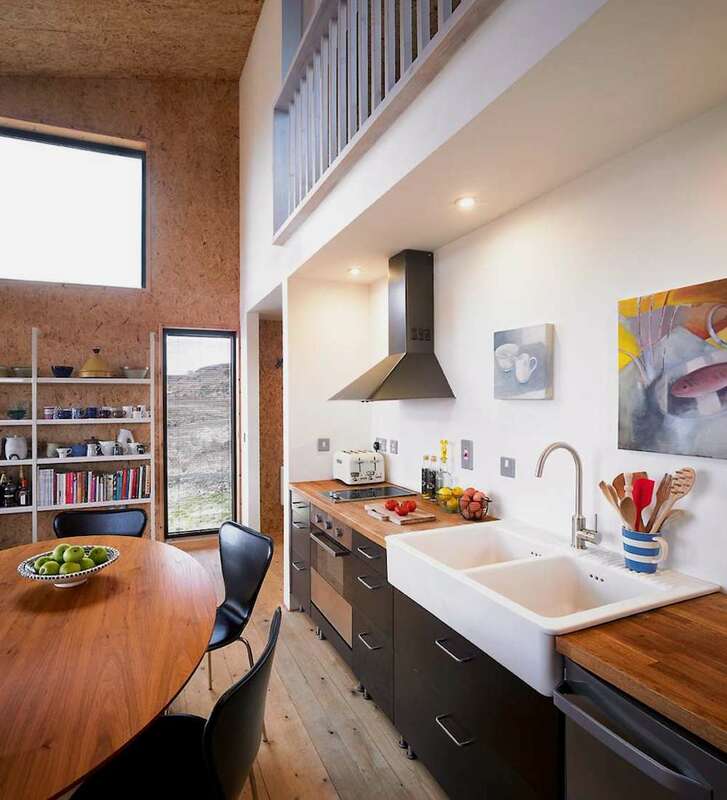 If you think this house looks familiar, then it might be because of the remarkably similar house featured on channel 4’s Grand Designs: the Turf House in Kendram. 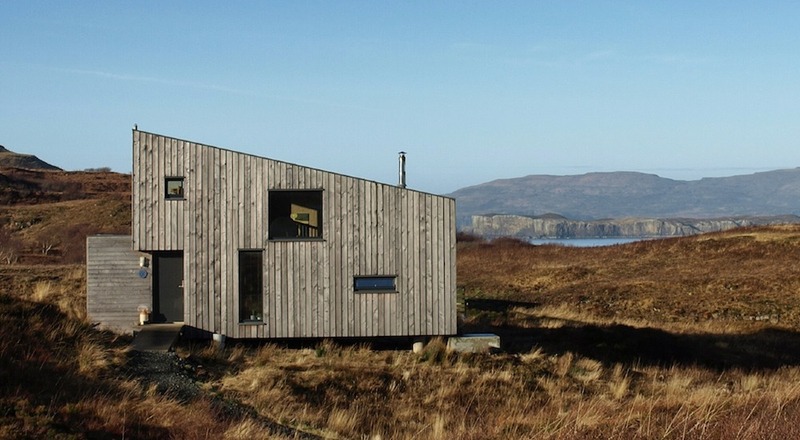 This house also features larch cladding, was built on the Isle of Skye and was designed by Rural Design Architects. 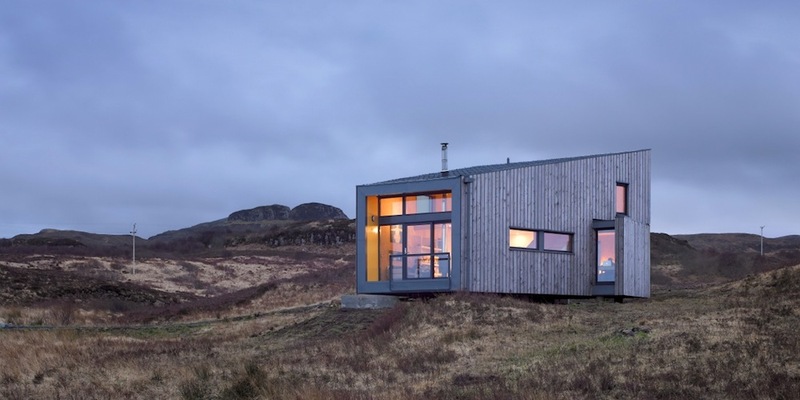 If you’re building in a fairly extreme environment such as one of the outlying Scottish isles then its certainly worth going with a specialist architect who has previously worked in the area as they may have special techniques to efficiently combat the elements. 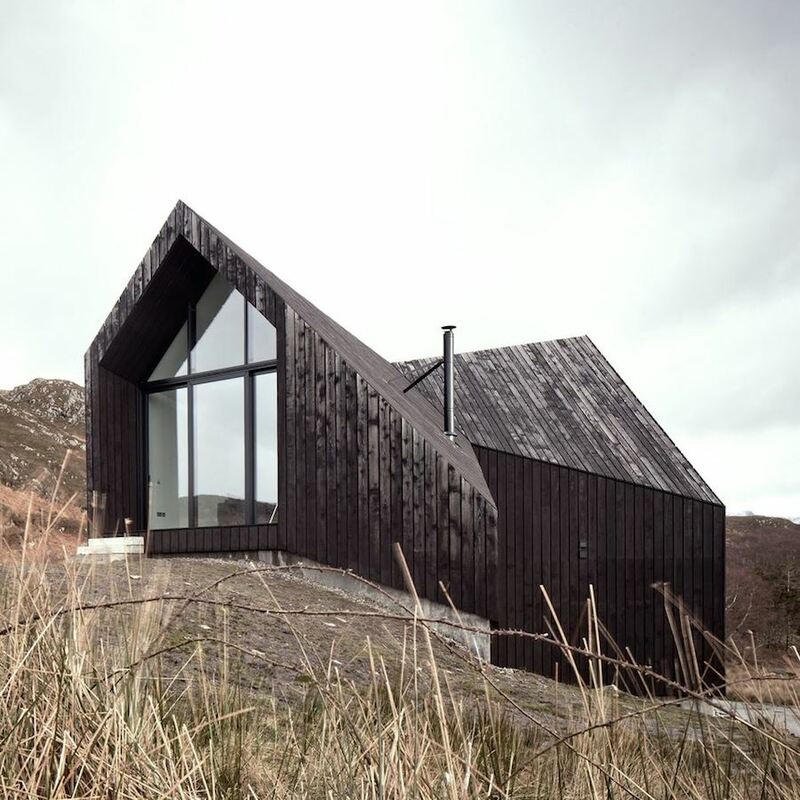 For example one of the ends of the Fiscavaig Eco Home’s box shape tapers in a very similar way to the Kendram Turf House’s ‘coffin’ shape. This narrowing space reduces the effect of the powerful winds which regularly batter the island by reducing the surface area of the structure. 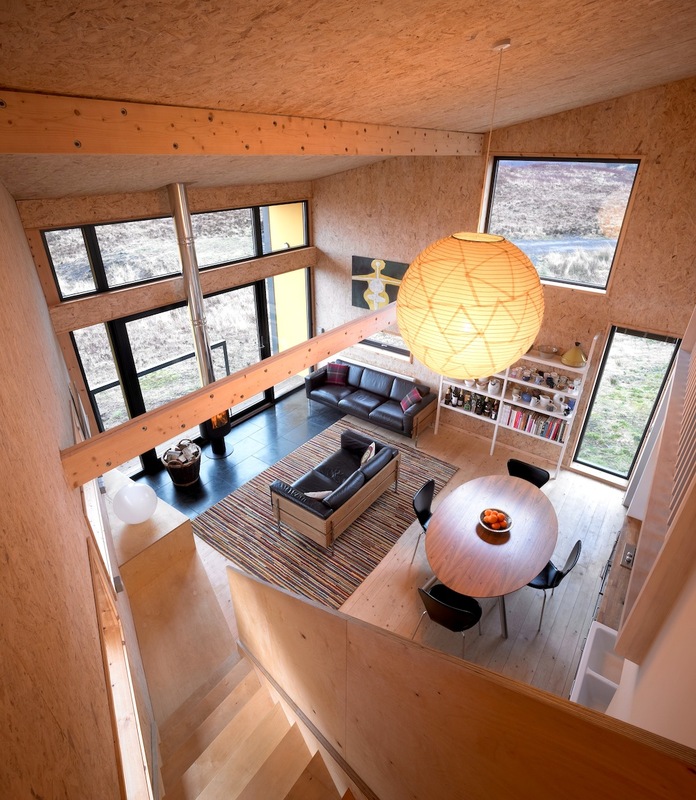 The architect also seems to have a real talent for framing landscapes of the Isle of Skye within small internal windows as shown above as well as in the Kendram Turf House. 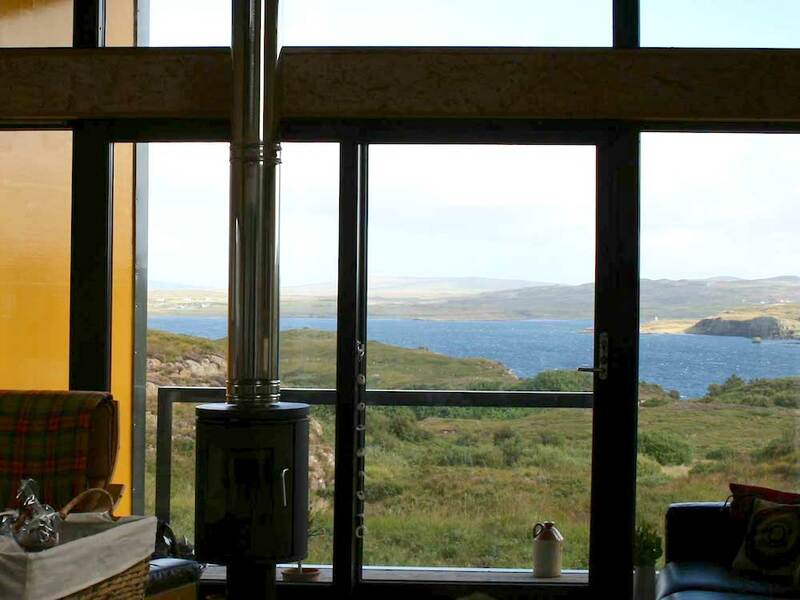 If you’re a fan of the Fiscavaig Eco Home, then you might be pleased to know that the owners are currently using it as a holiday let and you can book a visit there for your next vacation. Full details are available on their site along with more pictures, weekly prices and an availability calendar. Am interested in buying an eco house in Skye. Am a photographer and painter and 75 years old and love nature and have a dog so would nit want to be isolated. Love birds and wildlife. 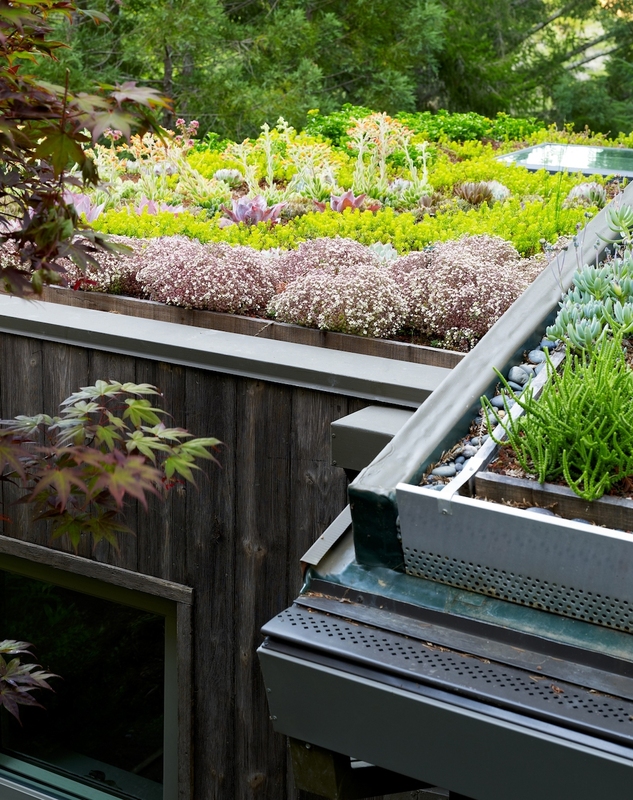 As a matter of interest what profile of roof cladding was used for the roof?